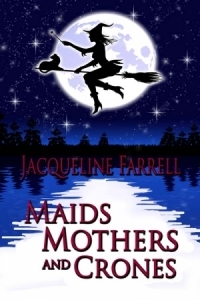 This week I am delighted to welcome back to my blog Jacqueline Farrell. 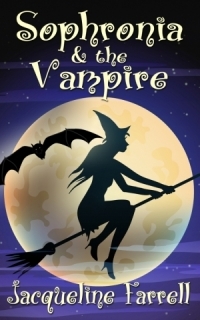 Jacqueline has two paranormal novels and two historical romances published under the name Jacqueline Farrell, as well as a co-authored novel published with Amanda Grange, under the name Jacqueline Webb. Series books form an important part of the fiction market. When readers love a character or a set of characters, they are eager to find out what happens next. But writing a series means there are certain considerations to take into account. Jacqueline is currently two-thirds of the way through a paranormal trilogy, published by The Wild Rose Press. The first two titles, Sophronia and the Vampire and Maids, Mothers and Crones are currently available; the third, The Scrying Stone, will be published later this year. Jackie, welcome back. Thank you for agreeing to share your experience of writing a series. What made you want to tackle a trilogy? I love series of books. I love getting to know characters and seeing them develop and finding out what is happening to them. One of my favourite novels is The Stand by Stephen King. I read an article by him where he said that lots of fans wrote to him asking what was happening to them. He seemed bemused by this and remarked that they seemed to think the characters were real people with whom he corresponded regularly. But I understand what his fans meant because I have always wanted to know what happened to them as well. That being said, he's recently written a sequel to The Shining which I found quite disappointing, so maybe sometimes it's best not to know what an author is plotting for his/her characters. Did you plan the entire trilogy before starting book 1? No. I had some idea of what I wanted for Sophronia and Hagen, but as with all authors (I imagine) things change. Characters popped up that were only meant to have minor roles and then interested me and took a more central position. Macey is a good example of this. I only put her on the page to begin with because I needed somebody else to make a bed, but she ended up becoming one of Sophronia's acolytes. Does each book work as a stand-alone? They can be read as stand-alones, but I would like to think that readers would get more out of them by reading each one. I suppose it depends how much you like a character. I have read some series and by the seventh or eighth novel I am tiring of the character, but usually that's because they don't develop, they just do the same things in each book. In the end you feel like you're reading the same story over and over again. In books 2 and 3, how did you tackle the back story for any readers who hadn't read the previous book(s)? This is always difficult because if readers haven't read the previous book, there is stuff they need to know, but you don't want to make any explanations too long or drawn out because that can be dull for everyone, especially readers who already know the back story. I try to put in the necessary information as succinctly as I can, without trivialising anything or being too boring. You would have to ask my readers if I've succeeded. How did you give books 1 and 2 a sense of completeness? By having each book have a story with a beginning and an ending of its own, whilst at the same time allowing enough room for the over-riding narrative to give a sense of development. How did you sell the idea of a trilogy to your publisher? Publishers love series for the above reasons. If a reader likes the character, s/he is more willing to buy the next book, because it ceases to be an unknown quantity and they know what they are getting. I know this because as a reader I feel exactly this way. I look out for authors of books I've enjoyed, but doubly so if they are writing about the same character. So getting my publisher to contract the novels wasn't a problem. What advice would you give a writer thinking of writing a series? Really like your character and want to know what is going on in their lives. I think the word is 'investment.' If you want your reader to be invested in your character, then you have to be as well. Thank you for this interesting and, for me, timely interview! I very much enjoyed your thoughts on writing a series, Jacqueline. The challenges you mention are some I'm facing as I develop my current series. Back story is so tricky. That investment in characters, though, is key. Actually once you've started it becomes much easier - sometimes I find I'm throwing stuff out because I've got too much in one book. I think it's a question of comparing other writers with ourselves and our writing preferences. I admire writers of short stories - how can they fit the plot/character package into so small a word-count? I'm sure I couldn't do that. I think we all admire other people's achievements. Thanks for your comment, Wendy. It was hard enough to write a stand alone novel so I envy anyone who can write a serias of books. In my Woody's Cafe stories (published in The People's Friend) I have the setting and characters already in place which makes it easier to write another in the series so I suppose it must be the same for you but on a much. If her scale! Thanks for your comments, Jessica. I didn't realise that your books weren't planned as a trilogy. I loved Searching For Steven and I'm looking forward to reading Getting Over Gary. Thanks for dropping by. Hi Jacqueline, it was really interesting writing this as I write series too and, exactly like you, I didn't set out that way but some of my characters just grew. Your books look great. Good luck!